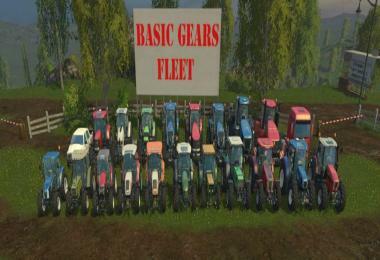 This mod adds the BasicGears script by Xentro to all the Giants default tractors (excluding the DLC tractors). The Man truck and Pickup are also included. The zip file is just over 100 KB, and essentially gives you 21 new vehicles. It does not alter or replace the default vehicles. The new versions with gears are in the MODS section of the in-game store. When I found Xentro's BasicGears script on his downloads page, I saw a lot of potential for it and It got me tinkering with modding and actually playing the game again. I decided to release this publicly for two reasons. If it brought me enough enjoyment to mod and play again, it might do the same for others. In addition, I want this to be an example of how to implement the BasicGears script in other mods. I want you to unzip this package and dig into it to see how it's done. For those that can't quite figure it out, I might put together an actual tutorial, time permitting. Combines and loaders are not included in this package. I am satisfied with the CVT transmissions on these vehicle types. There is a note below about seeder ridge makers in the "Potential Issues" section. I will be submitting a companion mod containing all the Giants default seeders with ridge markers disabled. As opposed to other gear scripts I've tried, the BasicGears script is very XBox controller friendly, as only two inputs are needed. Namely, shifting up or down. More detailed gear scripts with range splitters and a clutch are more suited to G27 or even keyboard drivers. 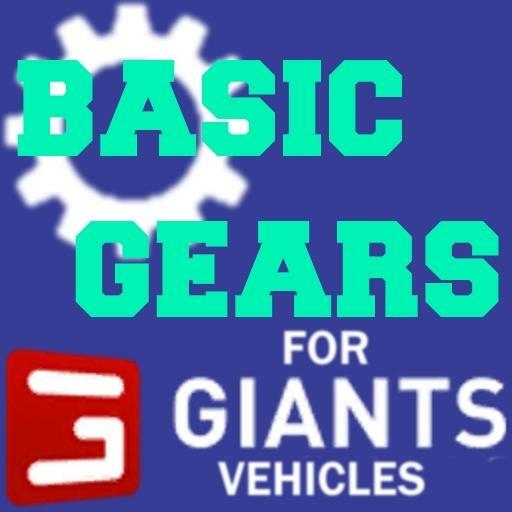 BasicGears is just what it says. A basic up and down gear range. The number of gears you assign is completely up to you. The simplicity of this gear system is perfect for me. I have problems learning and retaining new things due to a head injury. After an hour or so of in-game repetition, I could shift up/down without looking at a cheat sheet on my desk. I never got that comfortable with gear mods that had range splitters, clutch, etc.. And mods like that eat up a lot more precious and finite controller commands. You can kinda think of BasicGears as giving you any number of pre-set cruise speed settings you want. No more punching the speed limiter 1 and 2 keys over and over, just shift up or down. The gears make field work more interactive, particularly on sloping terrain. With the default system, you just engage cruise and wait till you reach the end of the field. The CVT automatically does it's best to deliver peak performance. I would probably enjoy that in the real world, but in a game it isn't adding any fun factor for me. It takes simplicity too far. The novelty of simulated farming wore off a long time ago. I found myself getting bored instead of relaxed when playing. With BasicGears, you need to pay attention and shift gears as needed to maintain the best possible performance when doing field work. It adds that little something that was lacking before, and playing is actually fun again. 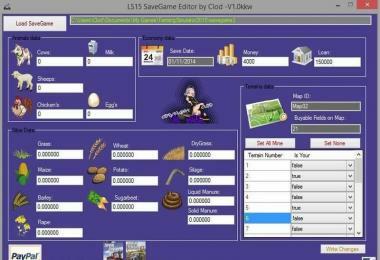 BasicGears has added a new level of enjoyment to pretty much any task in the game. Even something as simple as carting a load from point A to point B. Using the controller triggers for throttle and brake has always annoyed me in this game. I've never been able to develop any amount of precise control with them. It almost feels like a binary process, much like using the W and S keys on the keyboard. BasicGears eliminates this problem for me. Now I can keep cruise control engaged for an entire trip, controlling my speed the whole way by shifting gears. Downshifting for turns or AI traffic, then working back up the gear range is a lot more fun than using the controller triggers. Upshift is bound to the IMPLEMENT_EXTRA4 command in the script. You probably have this assigned on your controller already. I have assigned a keyboard binding and XBox controller binding for Downshifting in the modDesc.xml. You can edit these to your liking in the modDesc or the controller options in-game. The Downshift keyboard binding I used is just an arbitrary key combo that isn't used by anything in my mods folder. If you drive with the keyboard, you will most likely want to edit that. The current XBox controller binding for Downshifting is Right Shoulder + Start Button. (I have IMPLEMENT_EXTRA4 for upshift assigned to Right Shoulder + X Button, So upshift and downshift are beside each other.) You can, of course, edit the Downshift controller binding as you see fit. All the tractors have from 8 to 10 forward gears, depending on the top end speed. 3rd gear on all tractors will run at 10 km/h to match speed with Giants combines. 7th gear runs at 30 km/h to match speed with AI traffic. 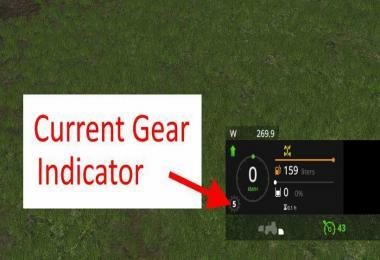 For ease of use, the gears are set up with the same ratios on all tractors so you know what to expect with any vehicle. Current speeds in km/h are as follows: 5, 7.5, 10, 12.5, 15, 23, 30, 42, 52, 61. The Man truck has 12 forward gears with speeds from 6 to 81 km/h. The Pickup has 8 forward gears with speeds from 10 to 83 km/h. An unburdened tractor can take off from a dead stop with good acceleration using a mid to high range gear. If you are pulling a load, or engaged in field work, you might need to downshift for better acceleration. The tight grouping at the low end may seem like overkill, but you will appreciate it when working inclines. 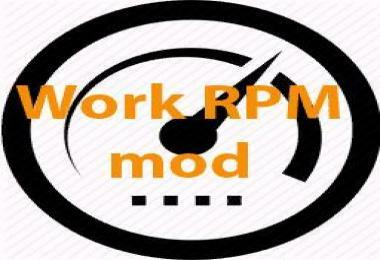 It will allow you to keep your RPM's up and only lose a little forward speed per step. Initial testing with bigger speed steps between gears did not provide satisfactory performance. 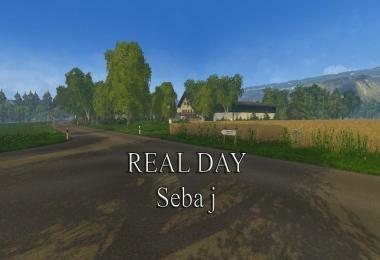 Just like the real world. Funny how that works. The low to mid gears also match up fairly well with the max working speed of most implements. Again, this allows you to keep the RPM's up at pretty much any speed and not bog down. This assumes, of course, that the tractor has adequate horsepower for the attached implement. 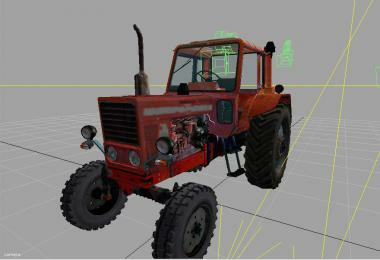 I have arranged the dislpay order of the tractors in the store by ascending HP/kW. This just makes more sense to me than the way Giants arranged the display order for the default tractors. Some implements use the IMPLEMENT_EXTRA4 command for some function. Default seeders, for example, use that binding for engaging the ridge markers. You can see the problem here. 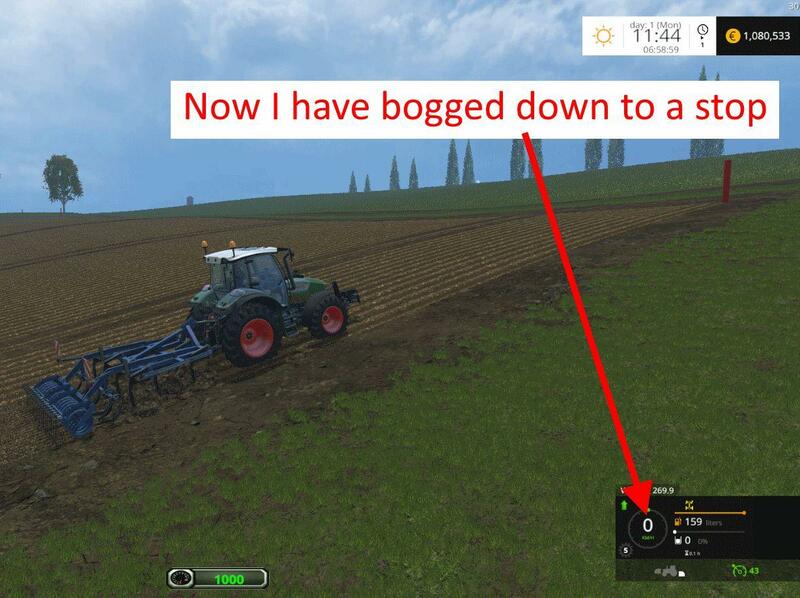 If you Upshift while the seeder is selected, the ridge markers will start deploying. 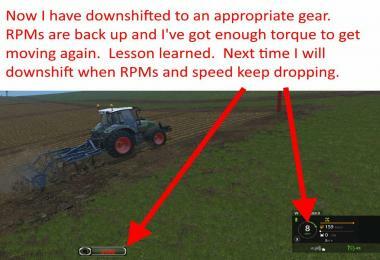 The quick and easy work-around is to make sure the tractor is selected when you want to Upshift. For me, this is a very minor issue. For some, it might be a huge annoyance, so I thought it prudent to mention it. 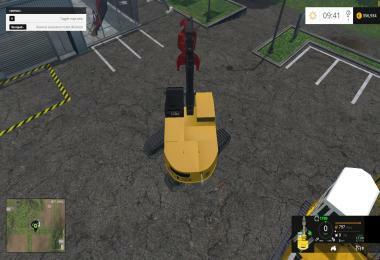 Another work-around is to use the Implement Up/Down, Implement On/Off controls available in the latest version of the DriveControl mod. 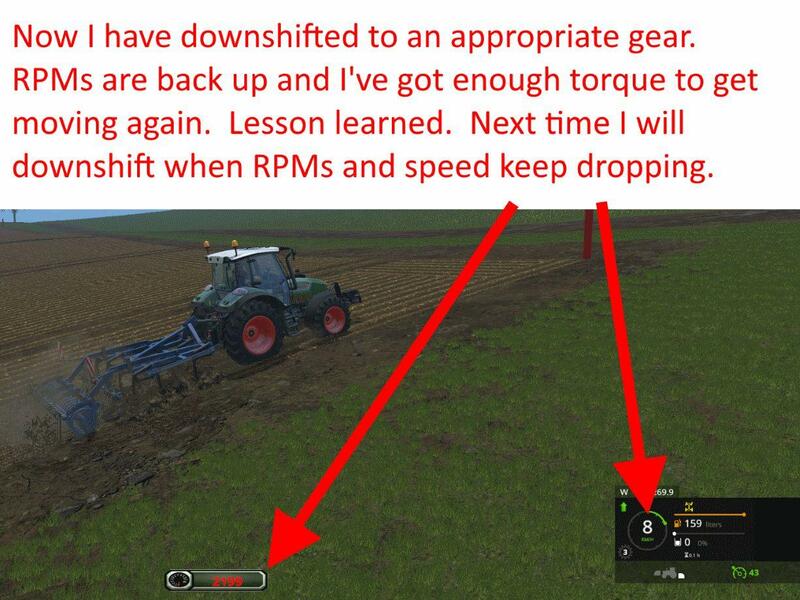 These DriveControl commands work on the implement when the tractor is selected. 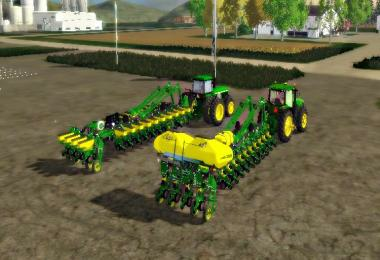 This will allow you to avoid the issue above and still have basic control of the seeder while the tractor is selected. A more permanent solution is available for those who never use the ridge markers. 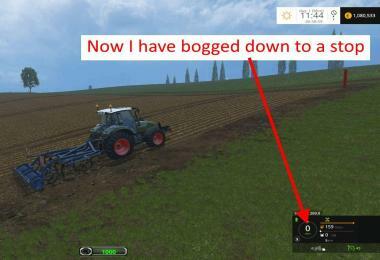 Disable the ridge markers in the xml for any mod seeders you wish to use with these tractors. I have a mod package of all the Giants default seeders with ridge markers disabled which I will upload to FS-UK as a compliment to this mod. Applying this solution to your other mod seeders is up to you. While this solution does take a few minutes of your time, the payoff is never having to worry about deploying ridge markers by accident for any reason. A quick test with the default helper went as expected. The helper has no idea what to do with the gears. You have to select an appropriate gear before hiring the helper. This is no problem on gently sloping terrain, but steeper hills will cause problems. I think it's a safe assumption that Courseplay helpers would be the same. 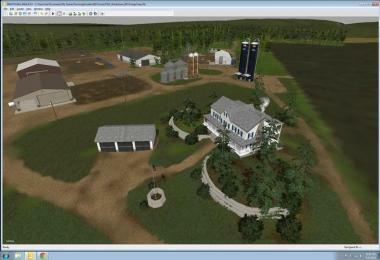 While I occasionally make use of helpers myself, I think of that as an auxiliary farm management game within the game. It's not a primary strategy for me. 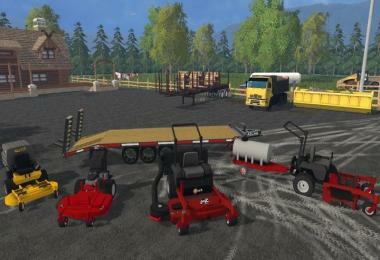 You can keep a few standard vehicles in your fleet for occasional hired helpers to use. I really don't see the hired help thing as a relevant issue, and I doubt that the script will be modified to accomodate helpers. BasicGears, in my opinion, is intended purely for those that do their own driving, and it performs exceptionally well in this regard. 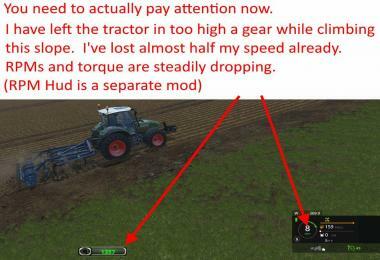 If your playstyle makes extensive use of hired workers for tractor and truck work, this mod is probably not your cup of tea. That is fine with me. No mod is meant to please everyone. BasicGears and Drive Control mod play very well together. Any vehicle with BasicGears will automatically disable the Drive Control gas and gear limiters on that vehicle, as they would be redundant. All other Drive Control modules remain active. 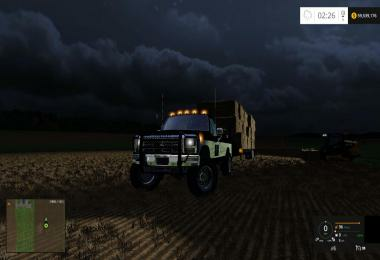 Drive Control is highly recommended for the 4WD toggle when you need that extra little bit of help to git 'r done. The Drive Control differential locks can also be incredibly helpful for getting out of a jam. BasicGears and the global SpeedControl mod can co-exist by what I have seen so far. It will not cause a conflict in the conventional sense, i.e. breaking functionality or causing log errors. The worst that can happen is user irritation. If you are driving a BasicGears vehicle, just make sure you engage cruise control with SpeedControl speed 3 (full speed). You can then control your speed with gears through the entire range. If you engage cruise with SpeedControl speed 1 or speed 2, some portion of your gear range will be functionally useless due to the speed limiter. I don't wish to disparage SpeedControl in any way. It is a fine mod, incredibly simple to use (just drop it in the mods folder), and an excellent evolutionary improvement to the default cruise control system. I would not be surprised at all to see it implemented as a feature in the next version of FS. I think it would be fine to leave SpeedControl in your mods folder for use as intended with all non-BasicGears vehicles. Aside from SpeedControl and BasicGears having the potential to work at cross purposes, I have not had any other mod issues or conflicts. That's not a guarantee, just an observation. I mention this because it can be helpful to keep an eye on your RPMs. No doubt, speed or engine pitch changes can be indicators that you need to downshift. It's just more instinctive for me to watch my RPMs for determining when to shift gears. 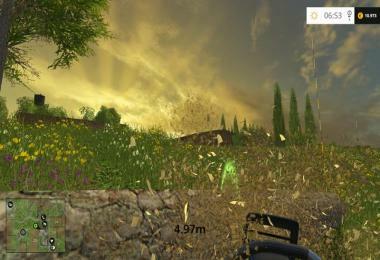 If you play with the external camera, this is not possible without a RPM hud display. Even with the in cab camera, it can be a challenge for some of us with old eyes to see the RPM gage clearly. Adding or removing gears, or changing gear ratio values in the vehicle xml is very easy. 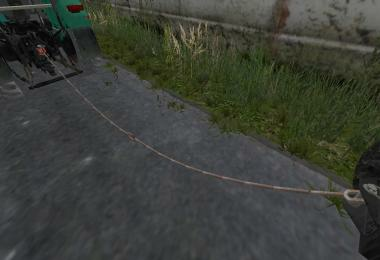 I have placed the section just below the section in each vehicle xml. I recommend using the vehicleMotorCalculator.xml provided by Giants to quickly determine the proper gear ratio for any desired speed. Using the top section of the worksheet, enter the desired speed in the "Max KMH" block. 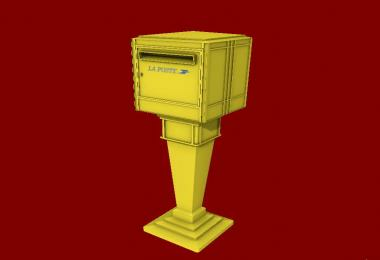 Enter 2200 in the "Max Motor RPM" block. The required Gear Ratio will be calculated for you on the far right. I would recommend keeping gears for running at 10 km/h and 30 km/h. 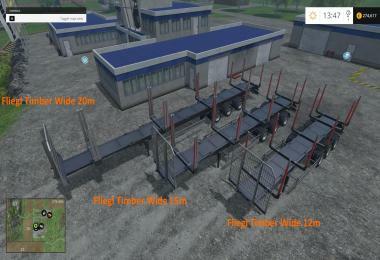 This will allow you to easily match speed with combines and AI traffic. The section settings are mostly unchanged from Giants defaults. The universal torque curve was not altered, as it work just fine. Several torqueScale settings were sligthly altered to achieve the listed horsepower at max RPM. maxForwardGearRatio was changed to 165 to get the 5 km/h low gear. The Pickup gear ratios and reverse max speed were edited to my liking, with top end speed remaining at 83 km/h. Aside from these tweaks, and adding the BasicGears section, the vehicle xml files are unchanged. It is a really simple specialization to add to a vehicle. 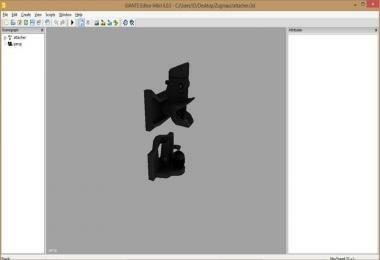 Notes have been made in the modDesc.xml and the buehrer6135A.xml that should help those less experienced in editing or creating a mod vehicle. 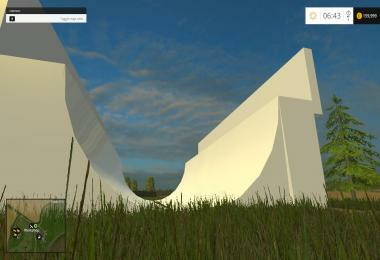 Just unzip this mod to get easy access to these files. Notepad++ is a good free app for viewing and editing xml files. If you are new to modding, save a backup somewhere before changing stuff. More experienced folks have already figured this out the hard way. If you have questions / problems, please post in the support thread as opposed to sending a PM. A question asked publicly will likely be answered by one of the helpful folks around here before I even see it. If you post a question about something that has already been adequately explained here, odds are very good that I will ignore it. Yes, this is a test. I saved it until the end for a reason. If you have read all of this, thank you for taking the time to do so. 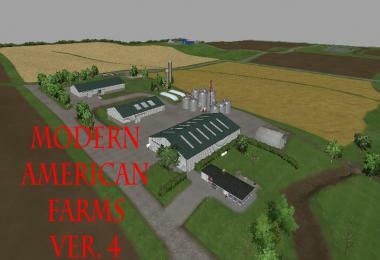 This mod description is also included in the download as a read_me text file for easy offline reference. The BasicGears script belongs to Xentro. The original vehicle xml's are Giants. You are free to do as you wish with my modifications and additions to the xml's, as they are intended to be freely used and shared. I would request that posts on other websites regarding this package point back to the original download page here on FS-UK. This is not a global script, dosent work with me!Have tested this with xentro for some time i mods it works.Do you have the permission to make it global? plus rewritten it to global?Looking forward for NO answars! it isnt a global script its new vanilla tractors the man truck and the lizard pickup in the mod section, you got a problem with google translate, you didnt read jack about this mod just want to be a keyboard commando making accusations this web site is FULL of fooking mods people took from other sites most of the mod sites are aggregate sites, that means they collect what they find on other sites and re up them,ffs get a grip and realize wtf is actually going on. tl;dr >> learn to read.